U.S. Sen. Mark R. Warner (D-VA), a member of the Senate Finance Committee, today released the below statement in opposition to confirming Steven Mnuchin as Secretary of the Treasury. The Finance Committee is scheduled to hold a markup on the nomination this evening. “As the President’s principal economic adviser, the position of Treasury Secretary holds a special significance. The Treasury Department must ensure America’s debts are paid, strengthen our role as a global economic power, and oversee policies which are very important to America’s economic and national security. “Based on Mr. Mnuchin’s record, my meeting with him, his answers during the Senate Finance hearing and follow-on questioning, I am unable to support his nomination to serve as Treasury Secretary. “Throughout the confirmation process, Mr. Mnuchin has failed to adequately demonstrate that he will be a forceful advocate for innovative policies that will make the U.S. economy work better for the majority of Americans. I also am not convinced that he is committed to robust enforcement of Dodd-Frank Wall Street reforms, which are intended to protect taxpayers from the sort of irresponsible behavior that triggered the 2008 financial crisis. 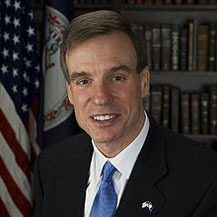 Sen. Warner is a member of the Senate Finance, Budget, and Banking Committees, and serves as Vice Chairman of the Senate Select Committee on Intelligence.